Brooklyn Heights resident Florence Bass turned 105 on Monday, and the whole borough celebrated. 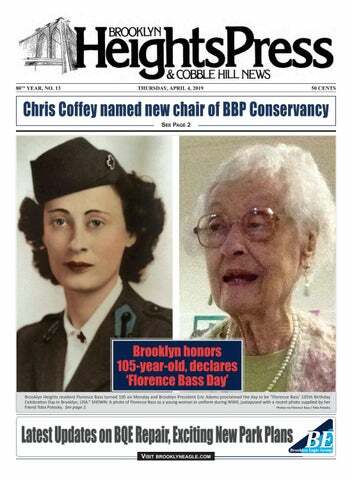 By proclamation of Brooklyn President Eric Adams, the day was officially commemorated as “Florence Bass’ 105th Birthday Celebration Day in Brooklyn, USA.” She also received a letter from Mayor Bill de Blasio recognizing her longevity. At a party in her apartment, with walls decorated by artwork she painted herself, Bass told stories from her remarkable past, blew out the candles on her cake and enjoyed a slice surrounded by best friends. Bass was born on April 1, 1914 in Brooklyn, in the days of dirt roads and horse-drawn wagons. She lived in Flatbush on Nostrand Avenue and Winthrop, above a candy store owned by her father. She recalls how the horses that drew fire engines were lined up three across, and that a blacksmith shop was always next to a fire house. After attending Girls High School, she went to New York University, and then Tulane University in New Orleans to complete her master’s degree in social work. “Florence is a fascinating person,” Bass’ friend and neighbor Toba Potosky said. Bass has regaled him with stories of her life over their 20year friendship. “When FDR proposed the New Deal, the country needed social workers in order to run the new programs. Florence and two other women bought a car and drove to New Orleans, and enrolled in Tulane’s social work program,” he recalled. The first time Bass and her friend tried to find a place to stay in New Orleans, they were turned away because it was thought that three unaccompanied women driving by themselves must be prostitutes. The young women had to go back to the school and get written proof that they were enrolled in a program before anyone would rent them a room, Potosky said. Military service Bass joined the Women's Army Corps (WACS) during WWII, but only after promising her father that she would remain stateside, since her brother was fighting overseas. She served as a social worker at the Auxiliary Military Hospital Services in New York City, was stationed in West Overfield, Massachusetts, and then did a stint at the Brooklyn Navy Yard. The Brooklyn Bridge Park Conservancy has elected Chris Coffey, who has served as the group’s vice chair for the past few years, as the new chair of its board of directors. He replaces Mark Baker, who has served as chair since 2016. The conservancy, which focuses on public programming, community outreach and philanthropic support, works in partnership with the Brooklyn Bridge Park Corporation, which administers the park. Coffey leads the New York practice for Tusk Ventures and Tusk Strategies and has run successful political and legislative efforts in cities and states across the country. 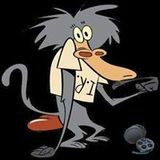 In New York City, he has run major media campaigns for such-wellknown organizations and entities as the Times Square Alliance, Uber and the Patrolmen’s Benevolent Association. In 2017, Coffey served as a senior strategist to Corey Johnson’s successful campaign for speaker of the New York City Council. He also served on District Attorney Eric Gonzalez’s transition committee and was an advisor to Gov. Andrew Cuomo’s campaign in 2018. Prior to joining Tusk, Coffey worked for Michael Bloomberg for 12 years at City Hall, on Bloomberg’s three electoral campaigns and at Bloomberg L.P. He joined the Conservancy’s board in 2013, “Chris Coffey’s enthusiasm and vision will lead the Conservancy into the future,” said Baker. “His expertise, candor and wisdom will guide the organization through its next exciting phase, expanding and enhancing our programmatic work in Brooklyn Bridge Park." The board also elected longtime Brooklyn Heights and DUMBO community leader Michael Crane to be the next vice chair of the Conservancy. In addition, DUMBO resident Sanjay Mody was elected treasurer and Cobble Hill resident Sophie Ferrer was elected secretary. NAME CHANGE KAHAN NOTICE is hereby given that an Order entered by the Civil Court, Kings County on the 25th day of March, 2019, bearing the Index Number NC000422-19/KI, a copy of which may be examined at the Office of the Clerk located at Civil Court, Kings County, 141 Livingston Street, Brooklyn, New York, 11201, grants me (us) the right to: assume the name of (First) SIMON (Last) KAHAN. My present name is (First) JOEL (Middle) SHIMON (Last) KAHAN AKA SIMON KAHAN AKA SHIMON KAHAN AKA JOEL KAHAN. The city and state of my current address are Brooklyn, NY. My place of birth is NYC, NY. The month and year of my birth is August 1994. Representatives. This year we have a letter from the mayor and a citation from the Borough President commemorating this wonderful occasion, 105 years.” Bass received a hand signed letter from President and Mrs. Obama on her 103rd birthday, and she could not be more pleased, Potosky added.